I guess this week's theme is cars, and I'll add my shot. These lights are my company on the way home from work every night. 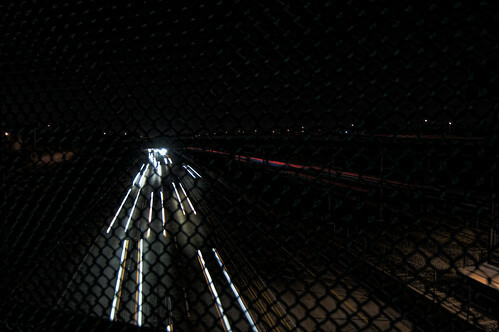 Crossing the 105 freeway, I had to stop and take some quick photos. Oh, that's great! I love the effect of looking through the fence.